This local operator offers this service 24 hours a day, seven days a week. Their cars are luxury Sedans and SUVs and they can offer rides up to 6 people. There is a limit of 8 suitcases for a group of 4 people and 5 suitcases for a group of 6 people. 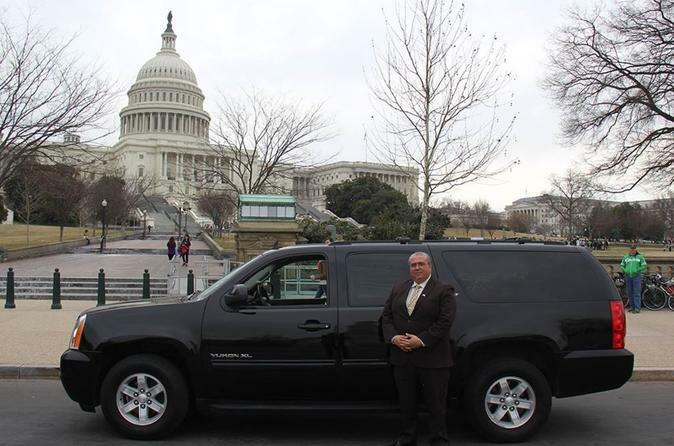 Your driver will be fluent in speaking in English, Spanish and Portuguese and have a solid city knowledge of Washington DC Metro Area. This local operator also offers these fares to Arlington County and City of Alexandria without no extra cost. Your driver also offers water bottles and refreshments with all transfers. This service is private and personalized. There will not be any ride shares with people not made on your reservation. Once you have created your booking, simply call the local operators number on the voucher and confirm your pickup with them prior to your departure or arrival date.